On July 5, seven groups composed of 25 high school students presented the results of their six-week summer project — Project STEMulate — to a panel of judges made up of University of Hawaii administrators and STEM professionals. Their project was nothing less than trying to figure out ways to get Maui to Energy Net Zero (all energy consumed comes from renewable resources like solar or wind) by 2045, the state target set by Gov. David Ige. Each student group became expert on its topic, ranging from building more efficient solar cells to getting community buy-in to renewable energy, even to converting human waste into biofuel. This component of Upward Bound is designed to give students experience in problem-based learning, a critically important skill for college students. It also earns each student college credit. In all, 86 students just completed the summer 2018 component of Upward Bound. (The summer component also includes a Mainland college tour. This year, 40 students went on the trip to Portland, Ore., and surrounding environs.) The program, which is completely free, prepares eligible low-income, first-generation high school students for college. You may recall that last year we were awarded a new federal grant allowing an increase of four target high schools and 60 additional students. This year, we’d like to introduce you to two outstanding graduates, both college bound. Tyler Christian Baraoidan Kim is a high achiever. It was not always so. “I didn’t like school,” he says, “it wasn’t for me. And I certainly didn’t want to go to college.” But someone at the Boys & Girls Club recommended that he look into Upward Bound. He decided to give it a try in the summer after 8th grade. It has, literally, changed his life. And Kim has already completed two full semesters at University of Hawaii Maui College. He’s going for his associate degree in hospitality and tourism. We know there’s a great job waiting for him here on Maui or anywhere he decides to go when he graduates. Wilkinson describes 2018 Upward Bound Leadership Program graduate Cassandra Ragonton as “an exceptional student since she started with us in 9th grade. The leadership program is charged with setting an example for both new and returning students. “We make sure that every new student is included,” says Ragonton. We are surely as proud of her as her hardworking family is. * Lui K. Hokoana, Ph.D., is chancellor of the University of Hawaii Maui College. “Ka’ana Mana’o,” which means “Sharing Thoughts,” appears on the fourth Sunday of each month. 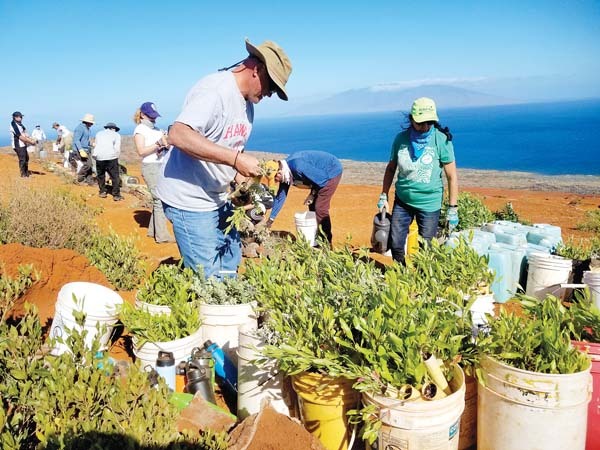 It is prepared with assistance from UH-Maui College staff and is intended to provide the community of Maui County information about opportunities available through the college at its Kahului campus and its education centers.